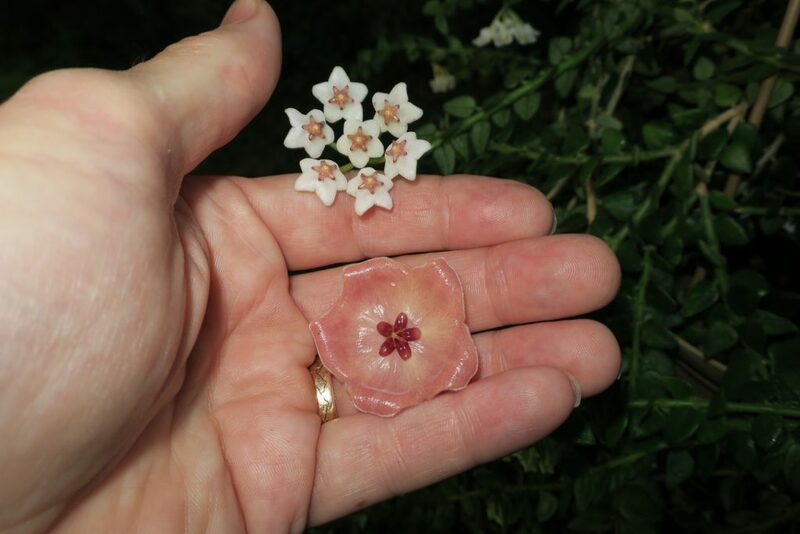 Here is the world’s first photograph of the flowers of Hoya chinghungensis together with a Hoya patella flower. I know that one plant comes from Papua New Guinea, and another comes from China, and it makes no sense, but it is what I’ve got at the moment. This entry was posted in Hoyas on August 29, 2016 by Doug.